You must make bookings at least 5 minutes in advance of the time at The Winter Garden. There is a CCTV monitored car park owned by Britannia Parking situated underneath The Landmark London hotel. Unfortunately car park spaces cannot be booked in advance, they are available on a first come first served basis with valet parking. There are also pay and display bays around the restaurant which are free after 6.30pm. The restaurant is directly oppostite Marylebone underground and rail station as well as a taxi rank. There are several bus stops outside of the restaurant. The Winter Garden restaurant has live entertainment of either a professional pianist or harpist every day from 11.30am. Settle beneath the stunning eight-storey glass roof atrium with fabulous palm trees and live entertainment and experience the natural transition from day to night as our Winter Garden restaurant transforms into an elegant idyllic dining area. The intimate ambience and delicious cuisine ensures that dining at the Winter Garden restaurant is truly an occasion to remember. The award-winning afternoon tea is really something quite special, complete with French pastries from The Landmark London’s own patisserie, freshly baked scones and assorted finger sandwiches. The exquisite surroundings, relaxed atmosphere and impeccable service will make you want to come back to the Winter Garden time and time again. We have created this menu to bring to life some of the great British classics, timeless in their creation and a true "Landmark"
The food was very bad, and the there were sharp little sticks in the dessert which cuts my gum. The waiters didn’t remember who ordered which dishes, the attitude of waiters were also quite so so. Definitely not a recommendation for value or dining. Fabulous atmosphere, attentive staff and simply a lovely evening! It was a nice experience for a girly lunch. Have previously been there for business meetings, birthday occasions and loved it! It never disappoints. Great atmosphere and nice quiet piano music. We have ordered halibut and stone sea bass. Lovely and testy. Service was good and polite waiters. Very romantic place . Table are not close to each other so you have your privacy too. Good choice for fine dining. A very interesting place to take someone, nice ambiance, spectacular surroundings, excellent food, good spacing between tables so perfect for a romantic evening. Excellent service but sometimes slow especially when I had to wait 15 mins for card machine when I asked for it at the same time asking for bill. Small portion food but delicious taste. Great atmosphere and staff. Absolutely stunning restaurant! Amazing atmosphere and the staff was very professional and extremely polite. The surrounding was beautiful - palm trees and high ceilings. 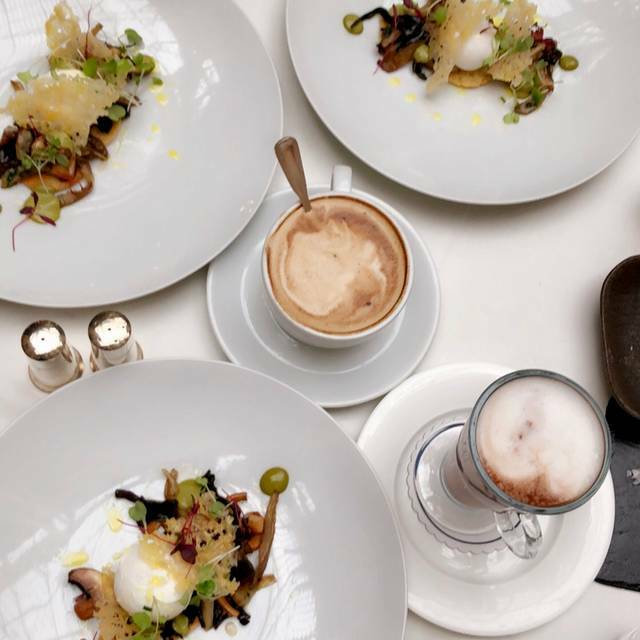 We were looking for an elegant end to a short visit to Paris and picked the Winter Garden due to its reviews and location near Marleybone train station. We were not disappointed in any way. The ambience is superb with beautiful tables in a multi-story glass topped atrium filled with live palm trees. Everyone we came in contact with was polite, friendly, and helpful. We chose from the set menu and enjoyed the Bellini that accompanies that menu. The food was all very good and well presented. We were offered after dinner wine and enjoyed what felt like special attention. We can’t wait to go back. Lovely setting, best for a special occasions. We loved the scenery and really enjoyed our food cocktails were also great value. 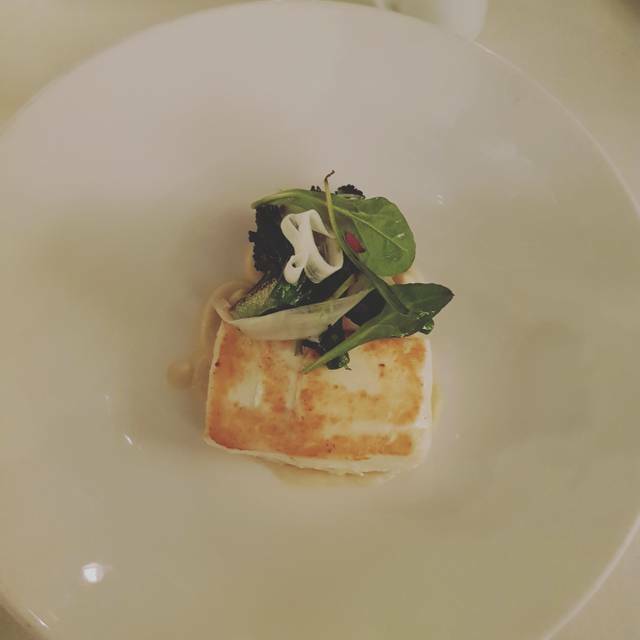 I was more than happy with my experience at The Winter Garden Restaurant! The food was amazing, creative and delicious! Fast service, friendly and professional waitresses. The extra attention for the note I request, my graduation. Really appreciate the cake. We spend a special moment with my parents and my husband. What a way to finish an amazing day. Thanks a lot! Wonderful afternoon tea - service was superb and friendly, sandwiches and cakes delicious but the two menu items that separate it from others are the selection of homemade jams and variety of tea. The room is stunning, and the ambience is relaxing yet buzzy so very comfortable to chat the afternoon away with friends or celebrate a special occasion. I can’t rave enough about the winter garden at the landmark. It is just fantastic. We had a wonderful late lunch there. We ordered from the set lunch menu which was fantastic value the poached egg starter was fabulous and the fish main course was excellent too. This has to be one of the most incredible restaurant settings in London and one of the few places where the food matches the grand surroundings. 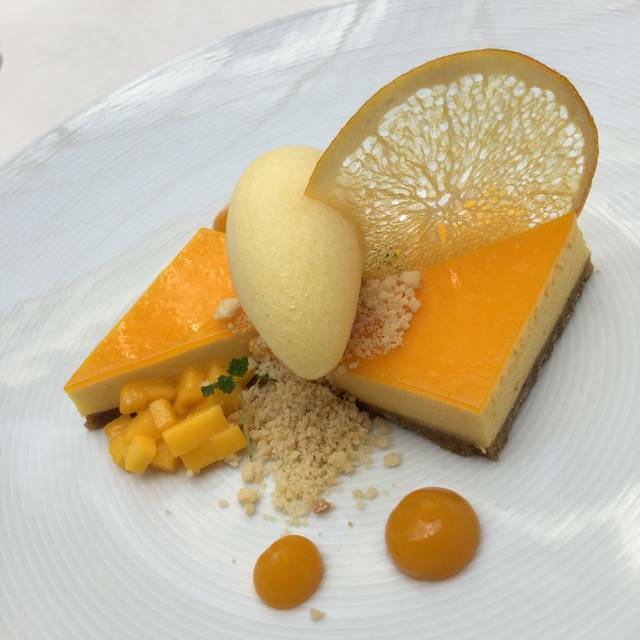 A very good dining experience at the Winter Garden at Landmark London. The afternoon tea set is good, and so is the service. Every waiter and waitress is very gentle and polite. The decoration is beautiful. I love the palm trees vibes. We all had the most wonderful lunch at the landmark it is one of the most beautiful hotels in London and the food was perfect. We really enjoyed our mains and the chocolate fondant dessert was delicious. I highly recommend the winter garden. I had great time with my friend, the atmosphere is so relaxing, food is really tasty and the cocktail is beautuful. Poor food with good service. Apart from the lunch set, overall quite pricey. The Winter Garden is well worth a visit. Beautiful surroundings and food served promptly. Friendly staff. the winter gardens at the landmark hotel was beautiful! However the value of money is absolutely ridiculous! We went for breakfast and two extreamlly small main meals that came up to £106!! We didn’t even want to order the main meals, be we felt as though the lady who served us was very pushy when she came to take our order. She said ‘what else would you like’ and ‘they are very small’ hinting that we need to order more dishes. We said several times we only came for breakfast. We have very small appetites and when she came to give our food she said ‘I told you this wouldn’t be enough’ however we said back ‘were already full with the breakfast’. We found it overall so SO rude for her to make us feel in that position!! We spent hell of a lot for so little food!!! She was just externally really rude. I think she was Malaysian or Chinese not sure? But she was so disrespectful! All the other staff were amazing but her she made us feel worthless. A very nice place to dine. The Wintergarden looks very special. The food is very good and the service as well. All smiling and professional. Nice wine list but pricy (some nice affordable wines as well though). Went here for an anniversary dinner, the building itself is beautiful, staff were attentive and food was delicious. A pianist played a grand Piano through the entire duration of the visit and there was a beautiful Christmas tree in the middle of the atrium. I couldn’t fault this place, as everything and everyone made the evening memorable. 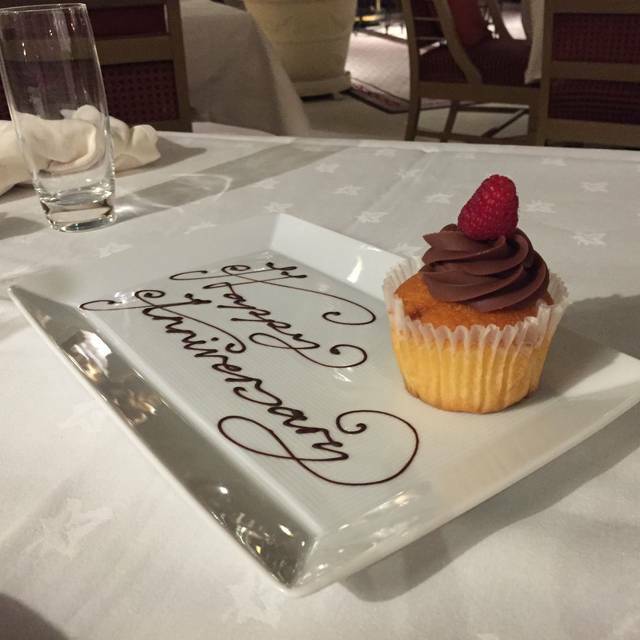 We’d notified them prior to the day it was an anniversary meal and they kindly surprised us with a ‘happy anniversary’ plate with a cake. I would definitely recommend this to anyone looking for a romantic dinner and would definitely visit again! Lovely ambience and great location for dining pre Regents Park Outdoor Theatre. Food was okay (lacked seasoning and we hardly ever add seasoning to our food) and disappointingly my order was wrong despite it being taken correctly. The apology was a little feeble and no discount/complimentary drink for example was offered. The service was very good and staff were lovely but despite the waitress going to the manager nothing was done. In terms of value it was pretty expensive for what it was. However I'm sure for brunch and afternoon tea it would be lovely as the setting is sunning. Had a wonderful catch up lunch with a good friend visiting from Singapore. Excellent menu and wine list, good ambience and exemplary service. Business lunch. Have visited here a few times and it is always consistent. Atmosphere is very relaxing and the tables are well spaced. Daily menu is good value, food good and service attentive. Spacious tables. Business dinner in a relaxing, airy atmosphere. Daily menu is good value, food good and service attentive. Have visited here a few times and will be back. 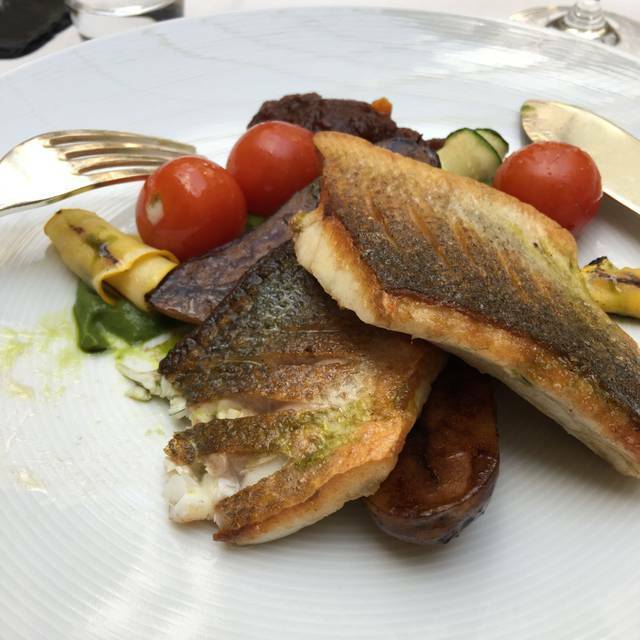 Located as in front of Marylebone station , the Winter Garden restaurant is breathless.The food is fine and tasty (I'm French so picky with the food ;) ),the service was wonderful.You pay for a fantastic time . Very pleasant evening lovely surroundings, good food, good service. Really lovely atmosphere.. felt like a holiday resort. Would definitely recommend to family and friends! Nice lunch in a very pleasant atmosphere. You are made to feel special. The great food was well presented and the daily menu is good value. The professional service is attentive and timely. The food was out of this world and the service was great, all the staff were friendly and very helpful. As for the ambience it is indescribable one of the most beautiful hotels around. Would definitely recommend it. A midweek lunch outing. We opted for the the three course set menu. All of the dishes were well presented, modern British style. Not too much food on the plate but that suits us. One on the rib of beef (melt in the mouth) and the other plaice, both in notable sauces. An enjoyable lunch at a very reasonable price. The setting is spectacular and the service on the day we went was faultless. We will return. Overall the dining experience was superb. However, waiting staff were extremely quick to take our food away and accidently gave my meat dish to my vegetarian partner. Other than this I would recommend it to anyone. Pleasant business lunch. The daily menu is very good value and the food is excellent. All was rounded off with a high level of professional service.